The following poems contextualize the era in which the dogma of the Immaculate Conception had been celebrated since 1855. 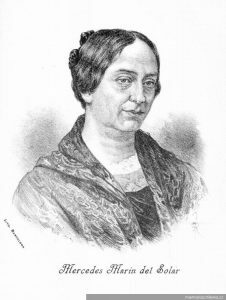 Rafael V. Valdivieso was the Archbishop of Santiago at the time of the 1863 tragedy. The first poem references his return to Santiago from Rome in 1861. The fire that claimed more than 2000 lives (primarily women and children) occurred on December 8, 1863, the Feast of the Immaculate Conception. The newly defined dogma is the subject of the third poem. 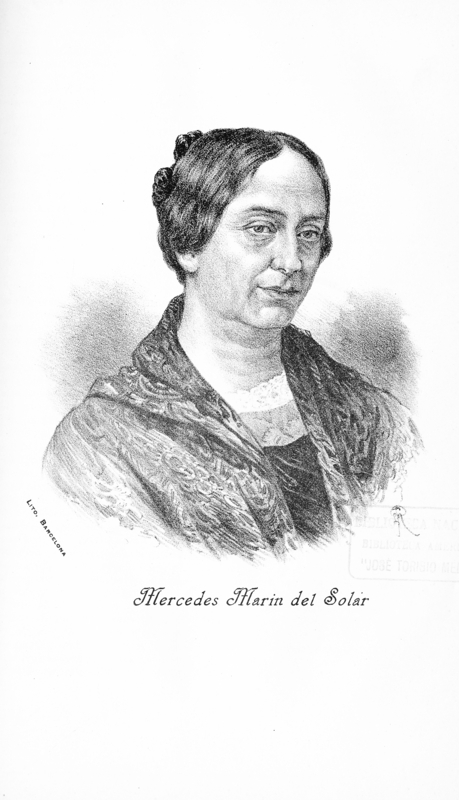 For more on Marín del Solar, see Mercedes Marín del Solar (1804-1866) Obras reunidas (2015), edited with notes by Joyce Contreras Villalobos, and Poesías de la señora D.a Mercedes Marín de Solar, dadas a luz por su hijo, Enrique del Solar (1874).